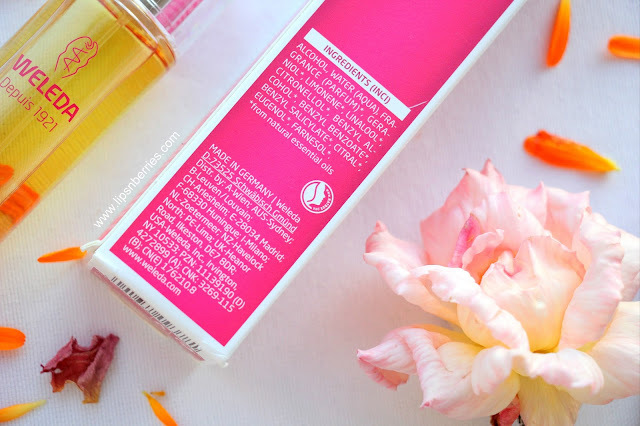 Weleda Jardin de Vie Rose/ Wild Rose Natural Perfume Review | LIPS n BERRIES! I was once sent their Wild Rose Body Wash and Lotion. I even wrote about it. 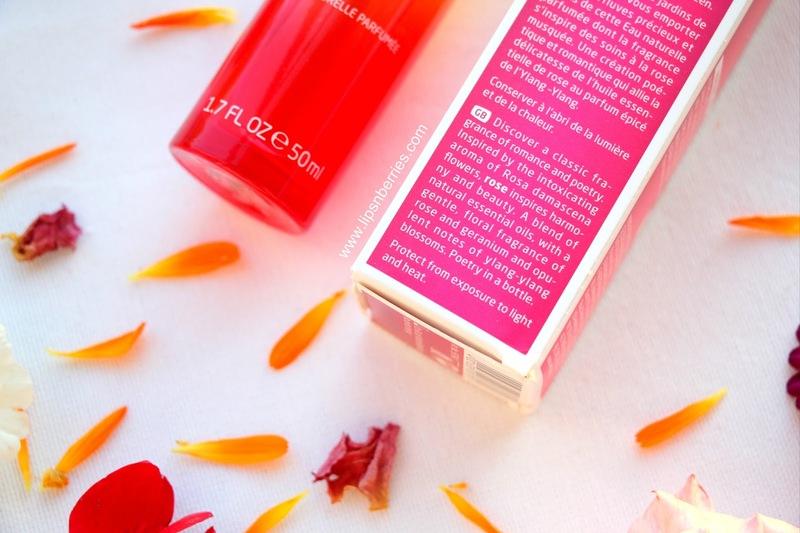 It is the most beautiful peppery Rose scent you'll ever lay your nose on. I still have some of that creamy body wash saved for days I really wanna feel the scent. It is seriously my most treasured and even sunshine's not allowed to touch it. I did always wonder if I could find the same scent in a bottle. 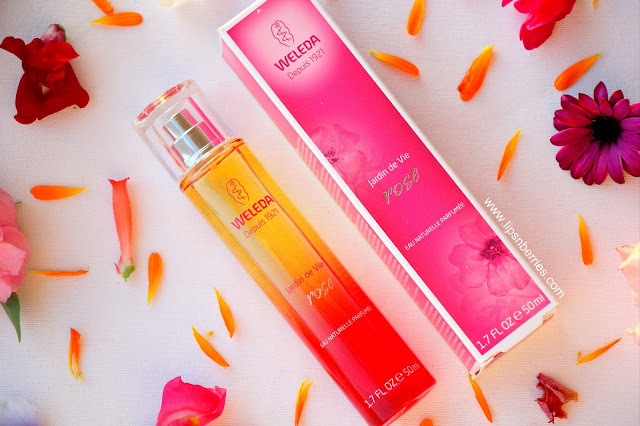 Little did I know Weleda has put that rosy scent into a bottle with their Gardens of Life Collection. If you ever lay your eyes on this perfume at a store..have a whiff of it..just for me. IT IS HEAVENLY. The scent really takes you in and you can't help but be in that moment. Best of all, it's 100% certified natural & free from chemicals and additives so I can be sure to put it directly on my skin. FunFact- I avoid putting perfumes directly on my skin as I believe they are a concoction of synthetic chemicals, unless its my pricey Chanel. 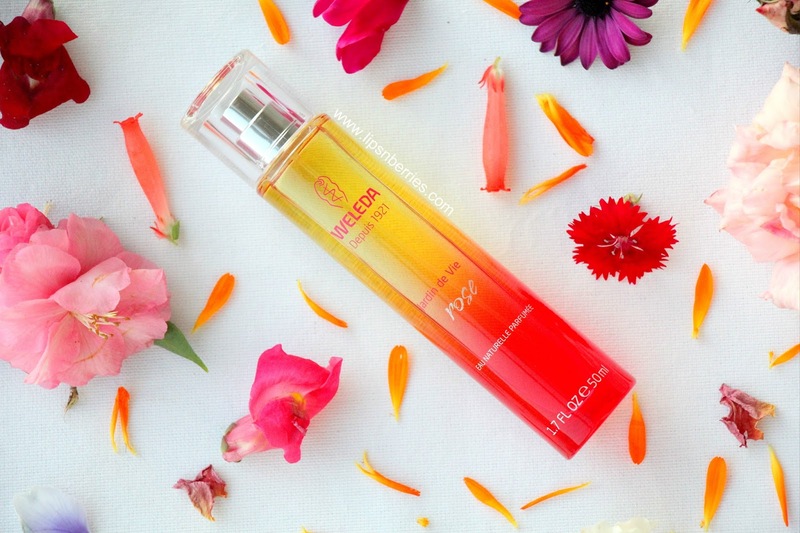 But with this one from Weleda, I can go all out. I always spray some on my wrists so I can sniff it all day. 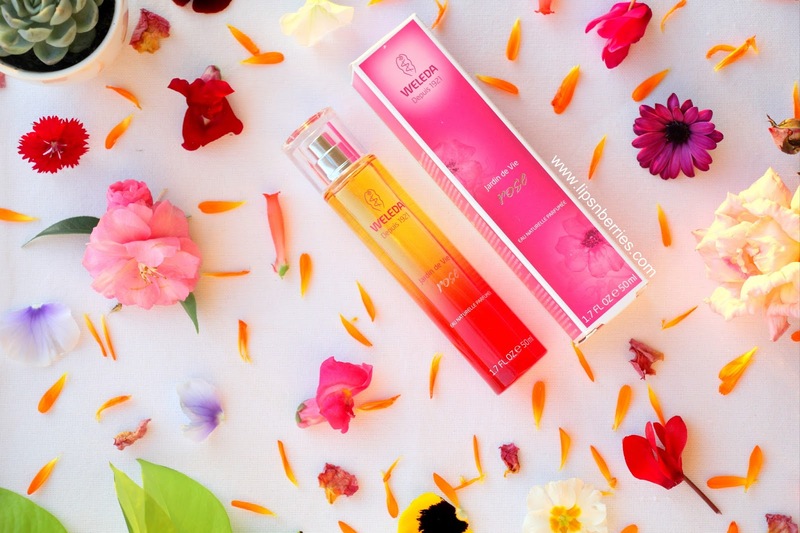 To be fair, Weleda does market them as light natural perfumes so I can't really complain much..can I? 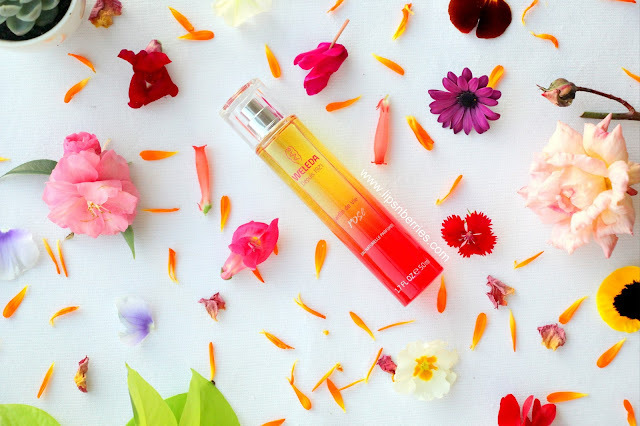 Edit: Here's what Weleda Australia has to say about this on my Instagram post - "Jardin de Vie is a light natural fragrance that harmonises, revitalises and calms body, mind and soul with essential oils- they are essentially wellness fragrances. We recommend layering your favourite scent with the matching body lotion/oil to extend the fragrance experience and to reapply throughout the day." They've put it into words so beautifully! Isn't it? When this bottle finishes I'm probably going to buy it again..just for my own sensory pleasure and the way it centers my mind. I'm also going to look for another rose scent that stays on longer. Do you have any recommendations? Apart from this Wild Rose scent (Romance), Weleda does two other scents in this collection- Grenade (Pomegranate, Sensuality) & Agrume (Sea Buckthorn, Joy). I tried them all at an Organic groceries store but prefer the Rose one to both. Maybe I'm just biased but I didn't find them wow! Availability- Various pharmacies, health food stores and online websites NZ wide. iHerb.com does stock Weleda range but they don't have this perfume collection in stock. I'm all ears to your Rose perfume recommendations. Hook up this girl with her long lost soulmate!